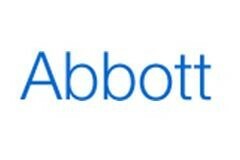 When it comes to mergers and acquisitions, Abbott Laboratories (ABT) has a proven track record, as seen with deals like the purchase of Knoll Pharmaceuticals in 2001. Supporting the strategy is strong analysis, long-term thinking and well-planned integration. But Abbott is also willing to spend big dollars. Now, the drugmaker is again creating a stir with M&A. This week, Abbott agreed to pay $3.7 billion for the domestic health-care business of India's Piramal Healthcare. The deal consists of a $2.1 billion upfront payment and then $400 million annually for four years from 2011. The closing is expected in the second half of this year. While Abbott has the financial wherewithal to make the deal, the valuation is at nosebleed levels -- and the company will have to hit tough thresholds to get a good return. Piramal is a top player in the so-called branded generics market. Essentially, these drugs are a hybrid of premium brand and generic offerings. But with a lower price, the products are easier to distribute in emerging markets. Piramal's portfolio is extensive, with about 350 drugs, including antibotics, painkillers, cardiovascular treatments. The business grew by 23% last year and is expected to continue its momentum for the long haul. A key asset is Piramal's distribution footprint, which covers roughly 70% of India's population. And Abbott also has a large sales force in the country. As a result of the combination, the company will have about 7% of the branded generics in India and become the country's market-share leader, according to Ajay Piramal, chairman of Piramal Group. Currently, the market size is about $8 billion. But it's growing at a rapid clip and is projected to double by 2015. Abbott will be nicely positioned to benefit from this enormous market opportunity. Abbott is paying nearly nine times revenues for Piramal, which is certainly frothy. Then again, it appears the company was the subject of a fierce bidding war. With the large amounts of cash in the pharma industry, such contests can get extreme. But Abbott really has few alternatives. After all, the drug industry's growth won't come from developed countries but from emerging markets. To this end, Abbott has already been making significant investments. The drugmaker recently paid $6.6 billion for Solvay Pharmaceuticals, which has a strong portfolio of branded generics in the emerging markets. Still, in the Piramal deal, there's a reasonable case for a nice pay-off. Abbott thinks that sales can go from $500 million to $2.5 billion by 2020. If so, this deal will be a home run.